Into The Woods opened Christmas Day 2014 and we went to see it last weekend. It’s 95% singing with very little spoken dialog, except by the narrator. But, we LOVED the all songs! 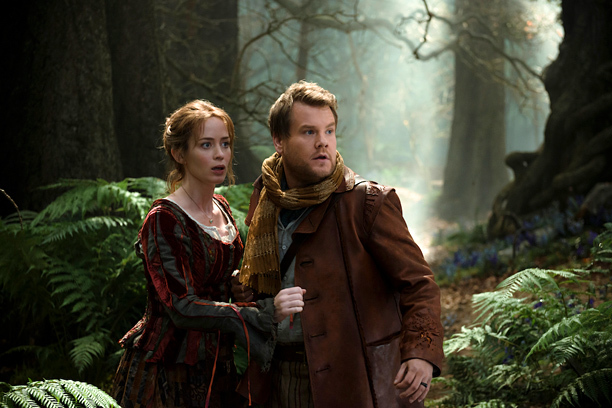 Based on the Broadway musical, “Into the Woods” stars Meryl Streep, Emily Blunt, Johnny Depp, Chris Pine and Anna Kendrick and was composed by Stephen Sondheim. Into the Woods tells the story of a gang of fairy tale characters who enter a dark forest in the hopes of achieving their deepest wishes. The film stars Meryl Streep as the Witch, James Corden as the Baker, Emily Blunt as the Baker’s Wife, Anna Kendrick as Cinderella, Chris Pine as her Prince, Mackenzie Mauzy as Rapunzel, Billy Magnussen as her Prince, Christine Baranski as Cinderella’s Stepmother, Lilla Crawford as Red Riding Hood, Daniel Huttlestone as Jack, Tracey Ullman as Jack’s Mother, and Johnny Depp as the Big Bad Wolf. 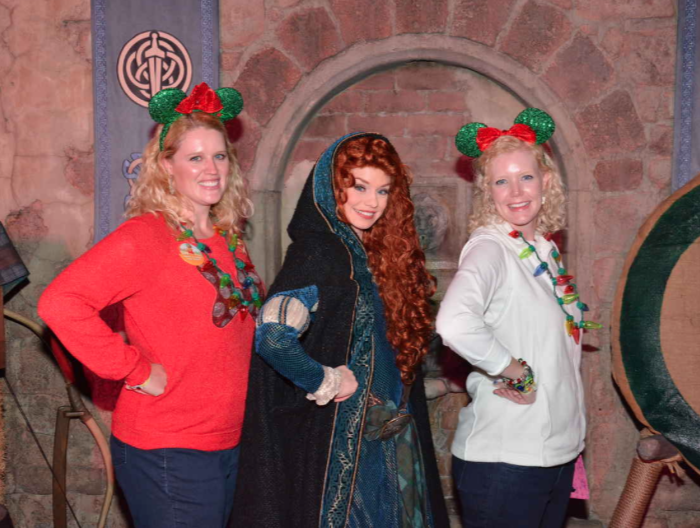 Late one evening while walking towards Fantasyland, we happened to notice that Princess Merida from the movie “Brave” was still out in her meet and greet area, and there was no line to visit with her. She’s very feisty! It was late and it was cold! 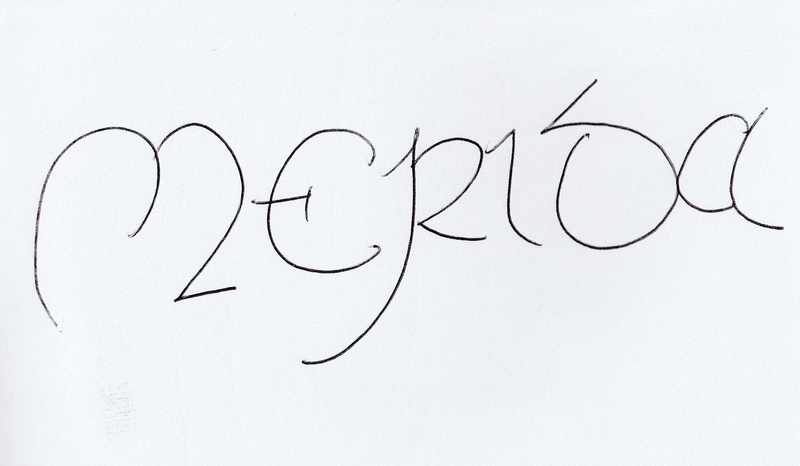 Merida signature in Caroline’s autograph book. 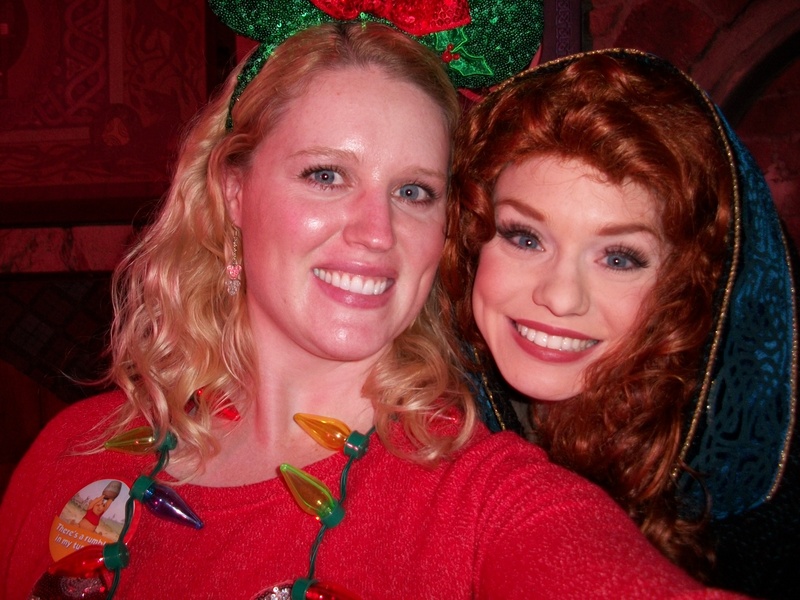 Elly taking a selfie with Merida. 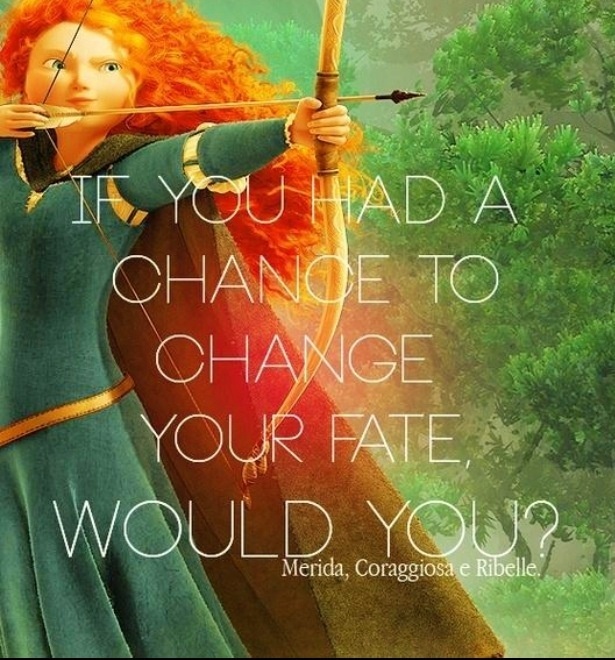 Princess Merida is a princess by birth and an adventurer by spirit. She spends her days practicing archery, riding her horse Angus, and exploring the world around her. She loves her family, but she wants to control her own destiny. 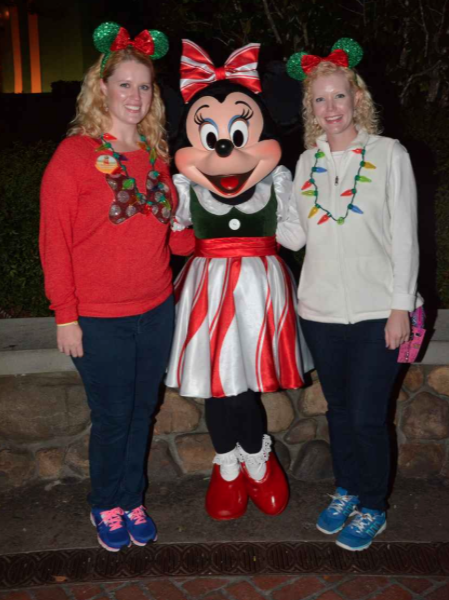 Minnie was also out too, in her pretty winter costume. We love Minnie. She’s always so nice. 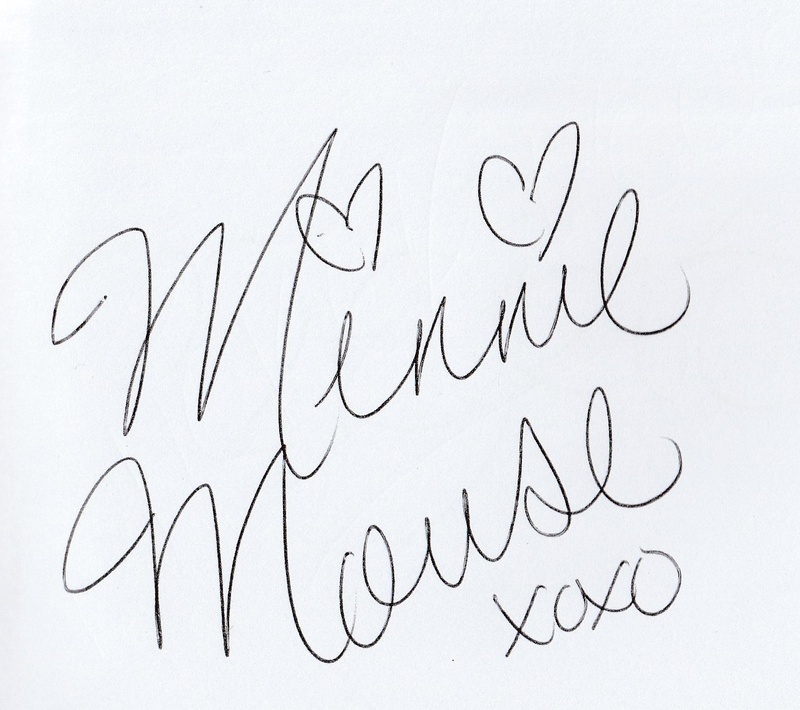 Minnie signed Caroline’s book too. 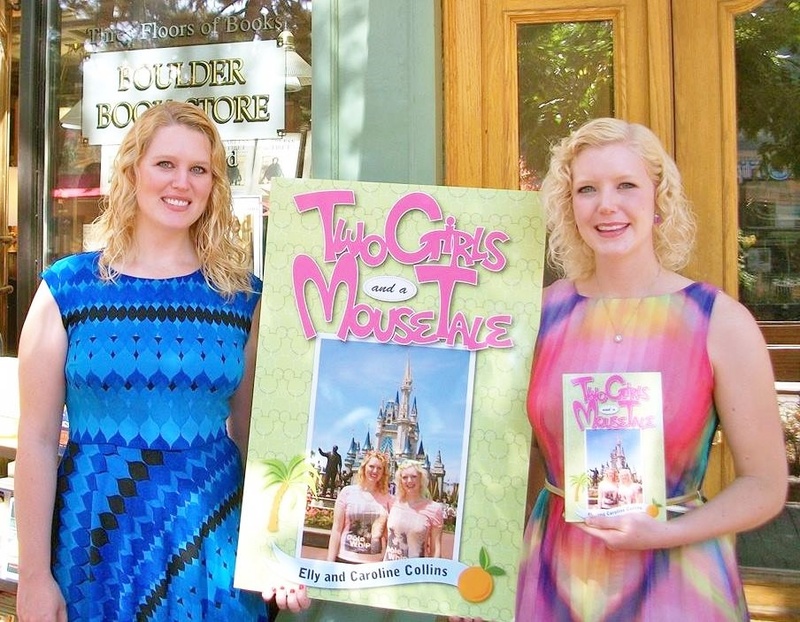 We’ve written a book about our year working at Disney World in the Disney College Program: Two Girls and a Mouse Tale. It’s filled with advice about the DCP program and how to get the most out of your internship. 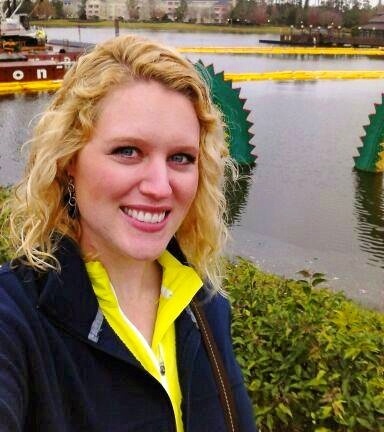 We worked at WDW for a year in the Disney College Program (Fall 2013/Spring 2014) and wrote about what it’s like to be a cast member working for Disney. We give advice on how to successfully get into the DCP program, including some of the actual phone interview questions, how to have a successful internship at Disney, and how not self-term before your program ends. Our book is filled with lots of behind-the-scene stories of the magic of Disney. Milestone – Our 500th Blog! 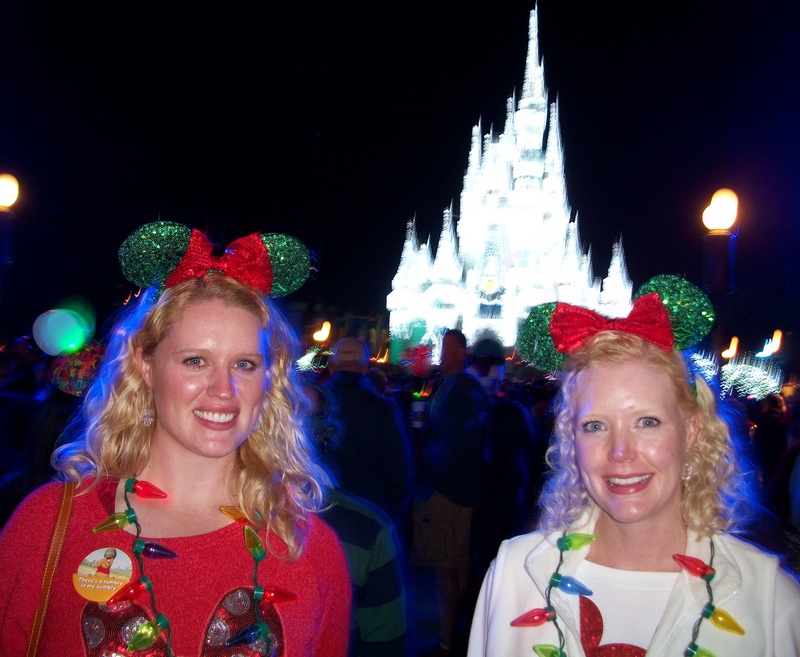 This week we published our 500th blog about Disney and being in the Disney College Program! Our blog continues to grow with fans from around the world reading our posts (and commenting) about the DCP program and what we liked about working for Disney. Almost 150,000 views from 122 countries around the world! Thanks for visiting our blog and for all your nice comments! We read every one. The WordPress.com stats helper prepared a 2014 annual report for this blog about your adventures at the DCP Program. The Louvre Museum has 8.5 million visitors per year. 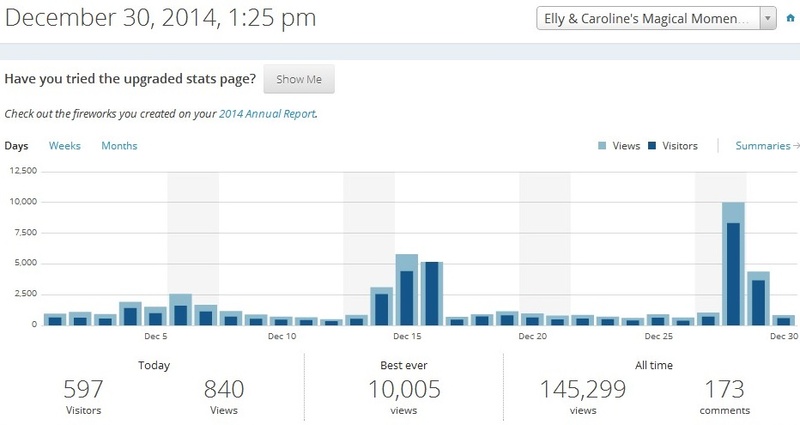 This blog was viewed about 150,000 times in 2014. If it were an exhibit at the Louvre Museum, it would take about 7 days for that many people to see it. 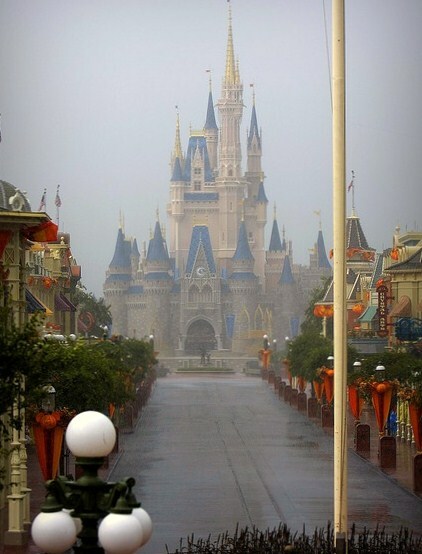 No need to let a little – or a LOT – of rain, aka ‘liquid sunshine’, stop you from visiting Disney World…or make you leave the theme Parks early! 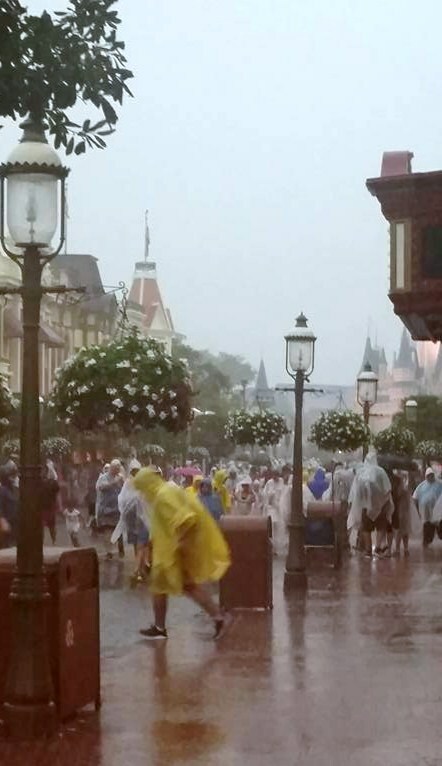 Summer downpour at the Magic Kingdom! 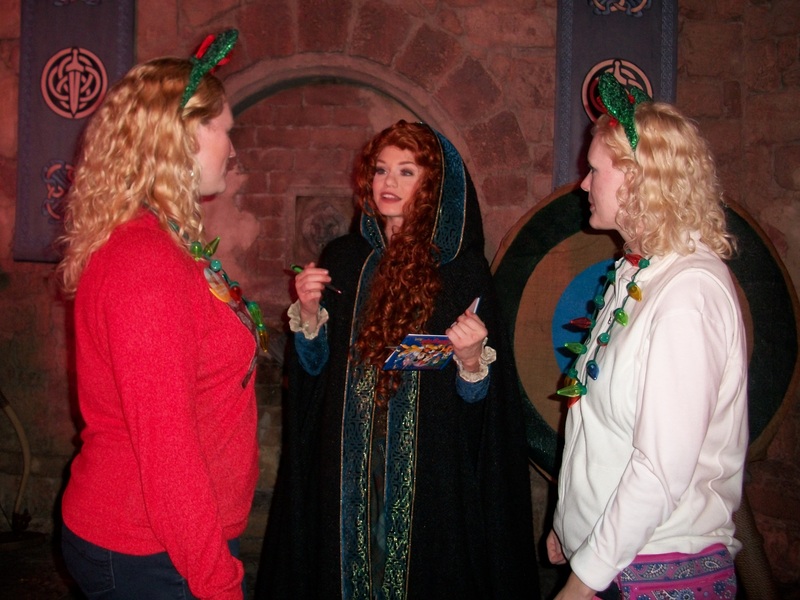 One of the great things about the DCP program is that you really become an expert on all the Parks of WDW. In no time at all, you know where the best place to park is and learn when the best time to visit to each Park is, even in the rain! Walking around DAK in the pouring rain. 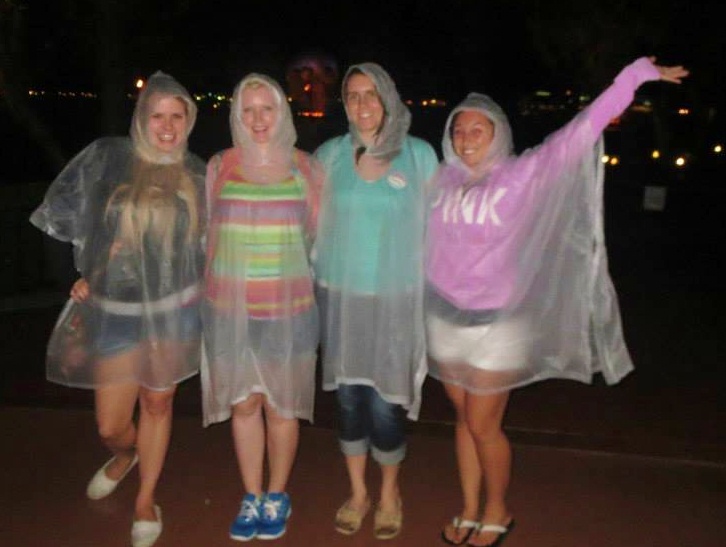 With my CP friends in our Disney ponchos at Epcot. I should have worn my sandals. 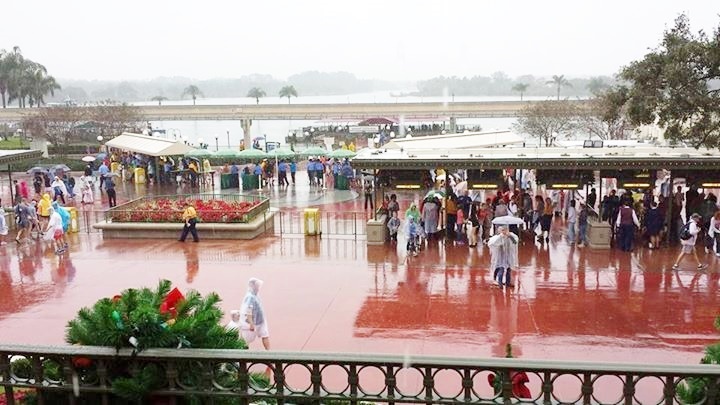 In order, the easiest Parks to tour in the rain are: Magic Kingdom (driest), Hollywood Studios (good), Epcot (OK), and Animal Kingdom (you’ll get very wet!). 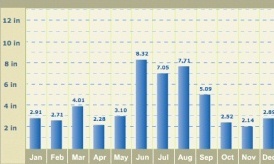 Orlando gets more precipitation in June and July than we get all year at home (Boulder, CO). 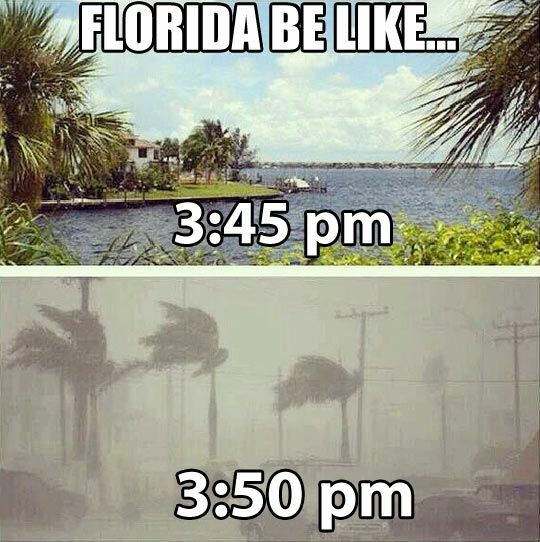 But, the Magic Kingdom, Epcot, and Hollywood Studios all have many indoor attractions. Rainy day at DTD: no problem! 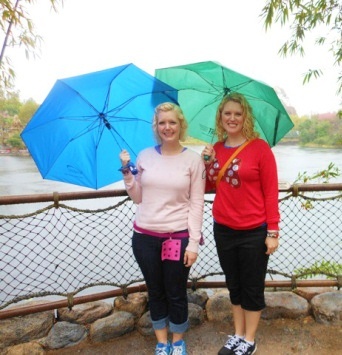 The prospect of rain should not keep you out of the Parks (you won’t melt); all you really need to pack is a disposable poncho and flip-flops to make touring during a rainy day a breeze. 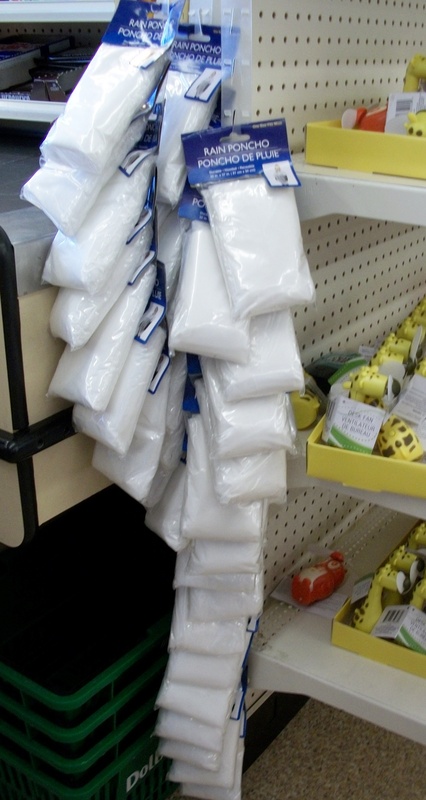 We liked using our collapsible umbrellas. The rain will scare plenty of local guests away, so a nice afternoon shower might be just the thing to lower the crowd levels to more manageable levels in the summer (less wait times!). 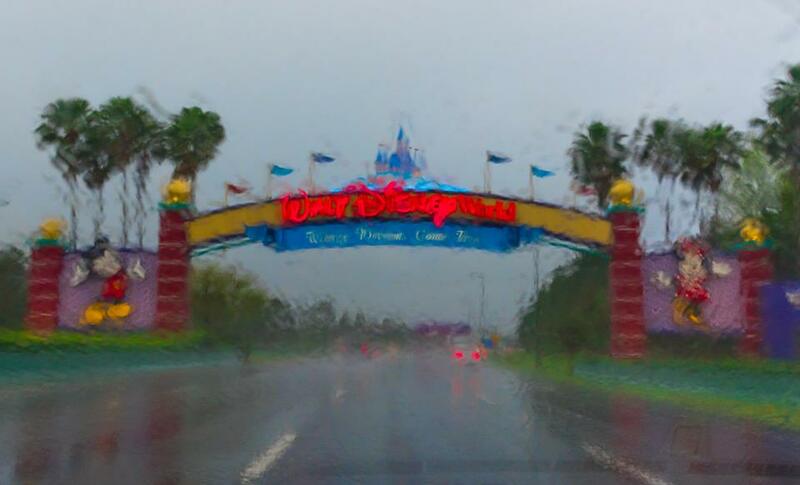 October 2015: A rainy afternoon at MK. Look, no crowds! Future World: Ellen’s Energy Adventure, Living With The Land Pavilion, Mission: Space, Sum of All Thrills, The Seas with Nemo and Friends, Turtle Talk with Crush, Innovations, Soarin’, Captain EO, Spaceship Earth. Our book is available all over the world now! 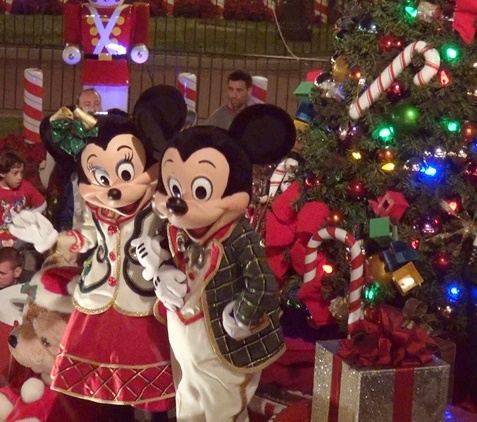 Mickey’s Very Merry Christmas Party is held on select nights in November and December. 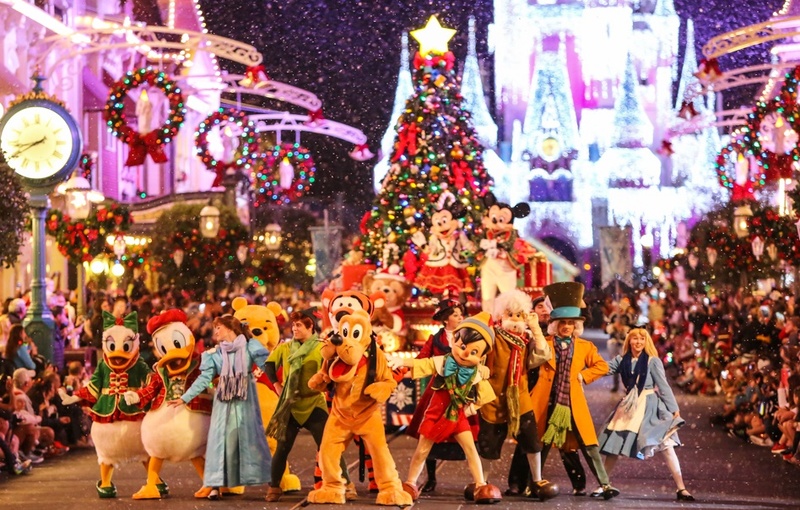 Cast members can get discounted tickets (30% off) for the parties held in November. 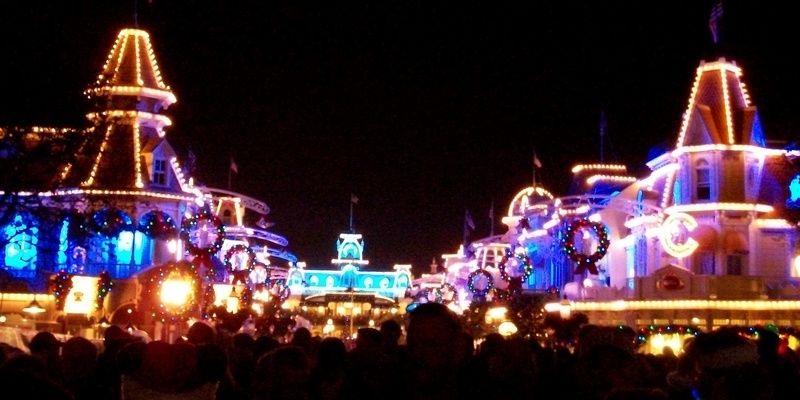 We thought the nighttime parade was great, especially the new elements. 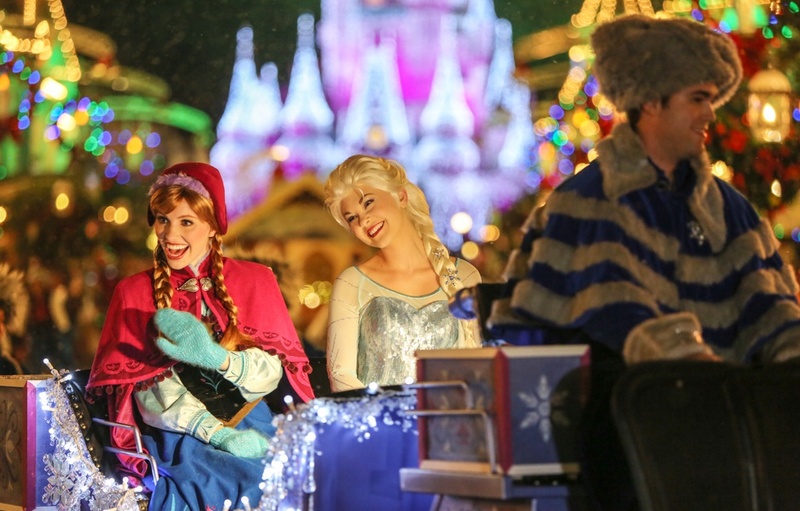 The gang from ‘Frozen’ was all there: Kristoff in a horse-drawn sleigh, Olaf has his own float, and Anna and Queen Elsa ride along in an icy blue illuminated carriage. 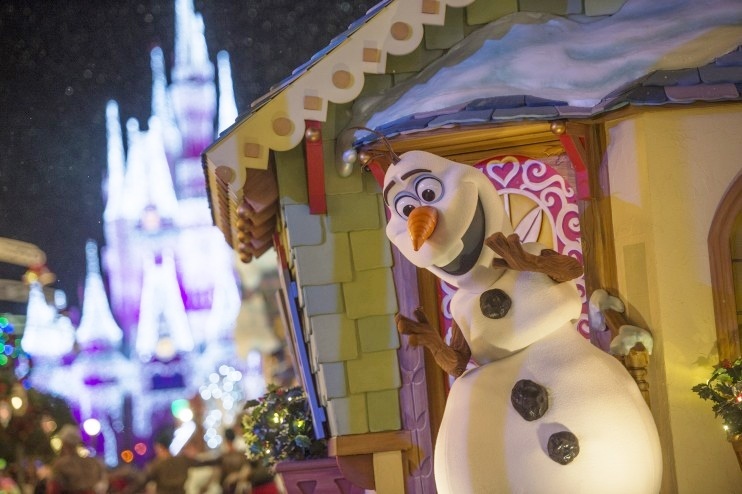 Olaf is new to the parade this year. He was great, waving and dancing to the music! Our Magical Moment was when the girl next to Elly started yelling at Kristoff, and he waved wildly at her. Elly turned and recognized her as the “friend of Anna” from Hollywood Studios!! The snow machines on the rooftops were set to maximum! 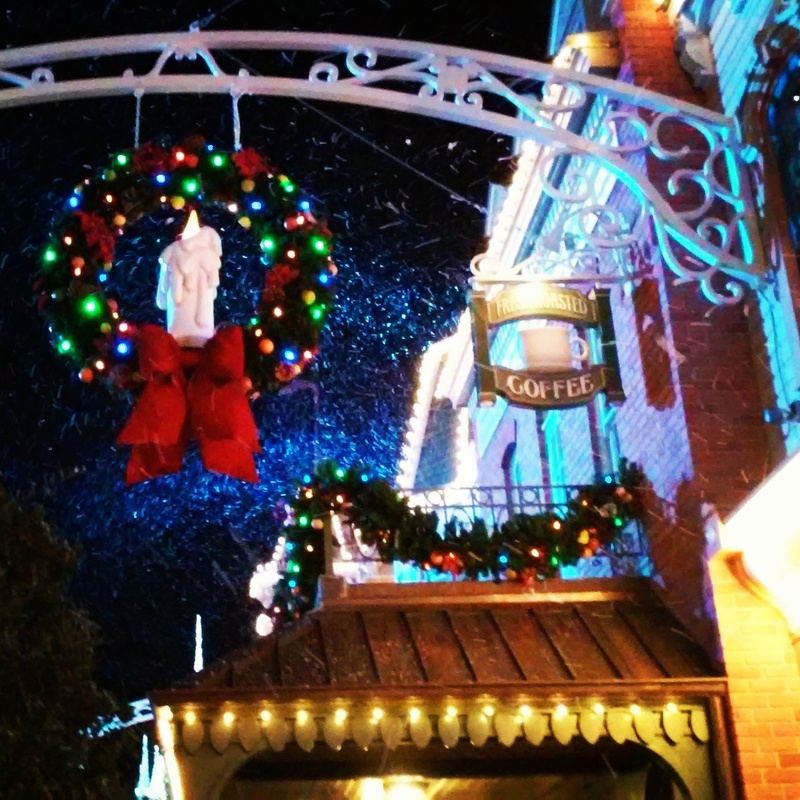 It was like a blizzard on Main Street! 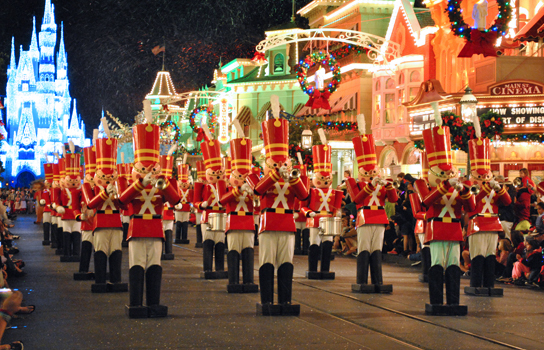 We loved seeing the toy soldiers marching in formation down the street! 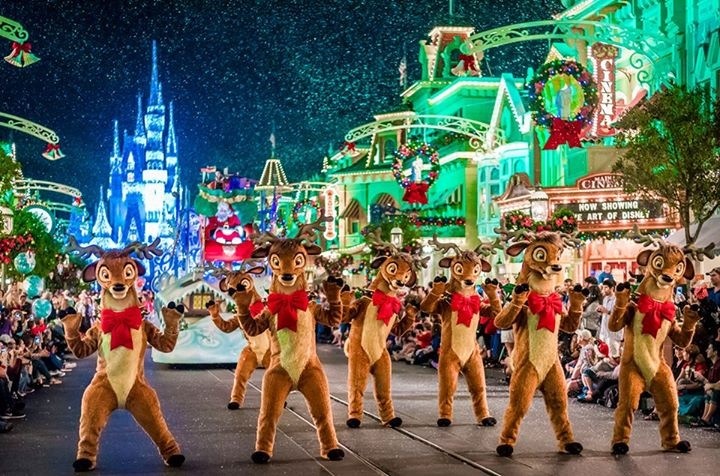 Dancing reindeer…we love these guys too! 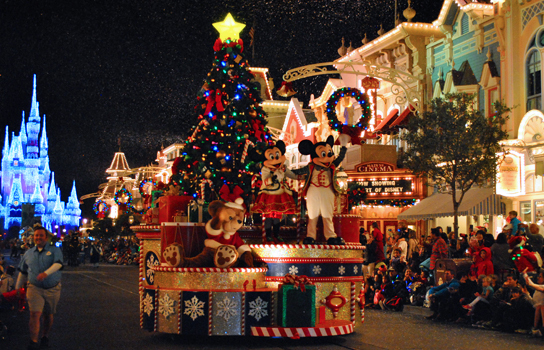 On Main Street after the early parade. Not too crowded for a November night. Almost midnight, time to leave!